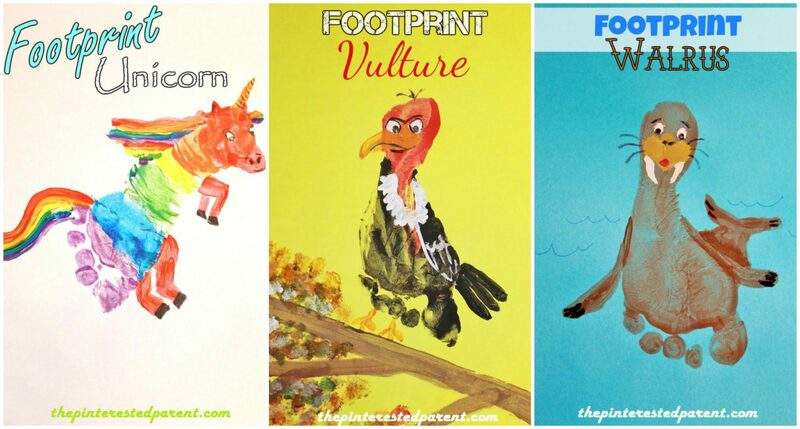 Last night we tackled U, V & W in our footprint animal crafts from A-Z. That leaves us with only 3 more letters. These last few letters leave us with very few options. 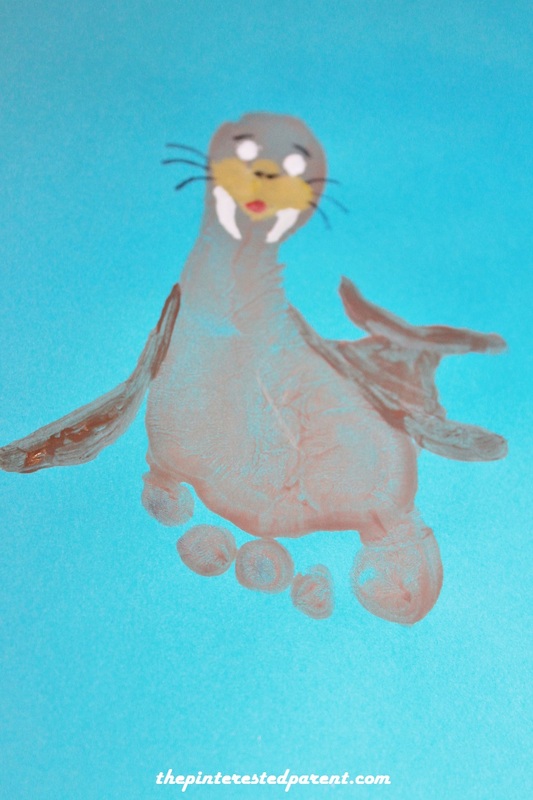 We opted to make a mythical animal for our U because of our lack of choices. 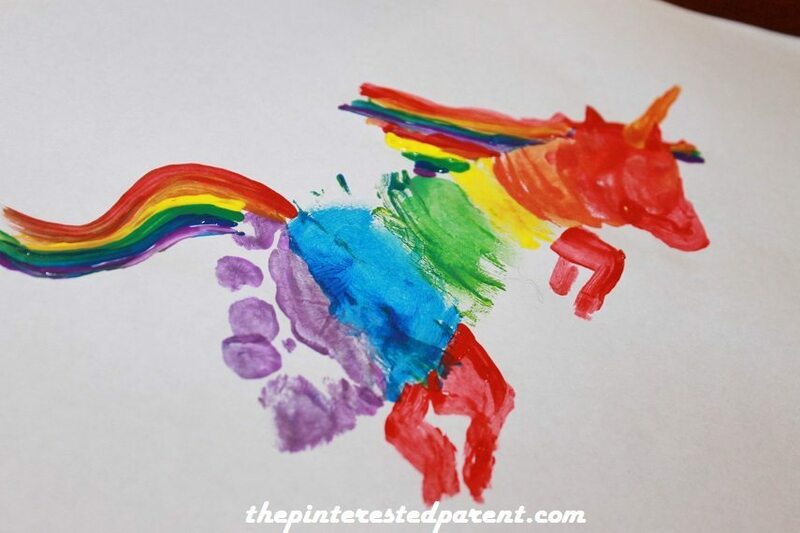 Mai wanted a rainbow colored unicorn, so that is what we did. Here is how. 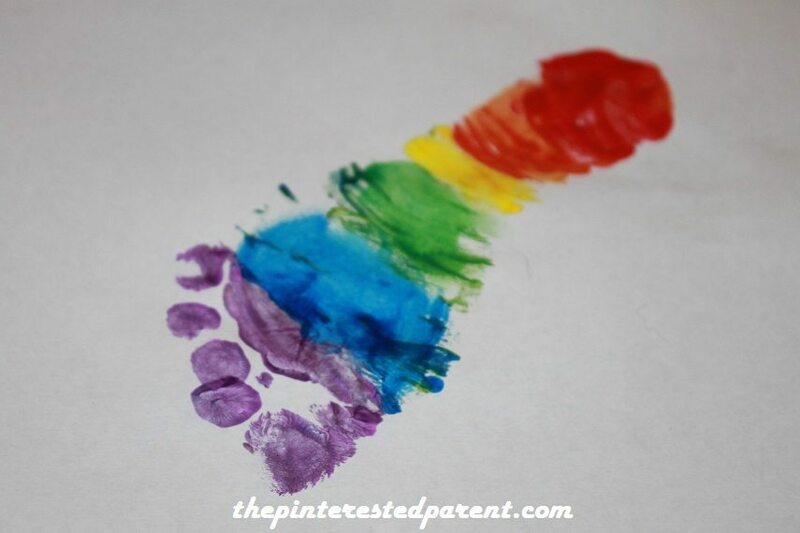 Start by painting your child’s foot in the colors of the rainbow. 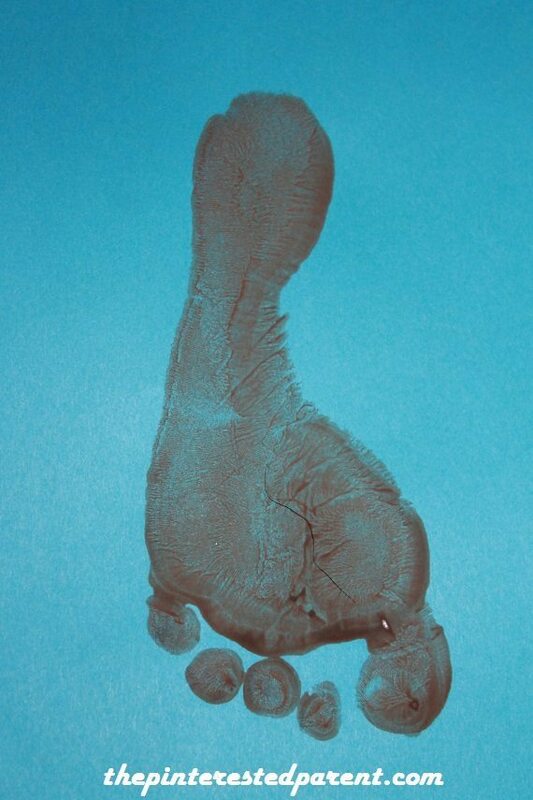 Press the painted foot onto a piece of paper. 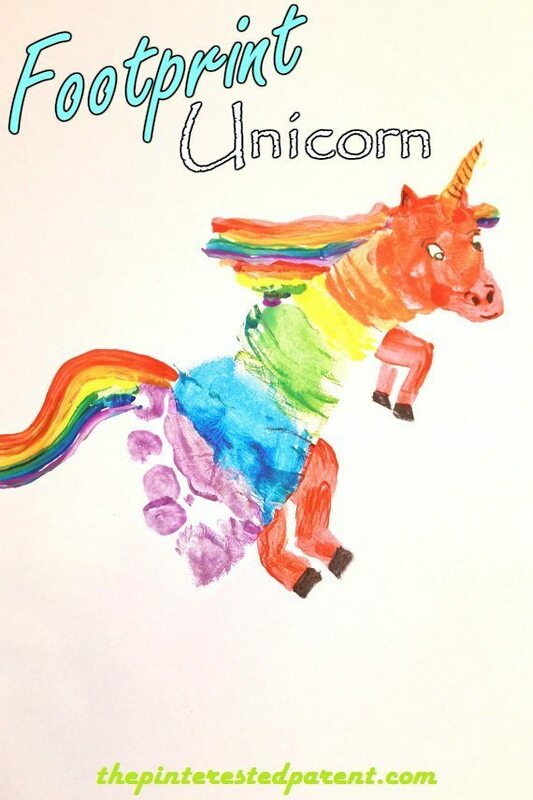 Paint in a rainbow mane, ears & the unicorn’s horn. 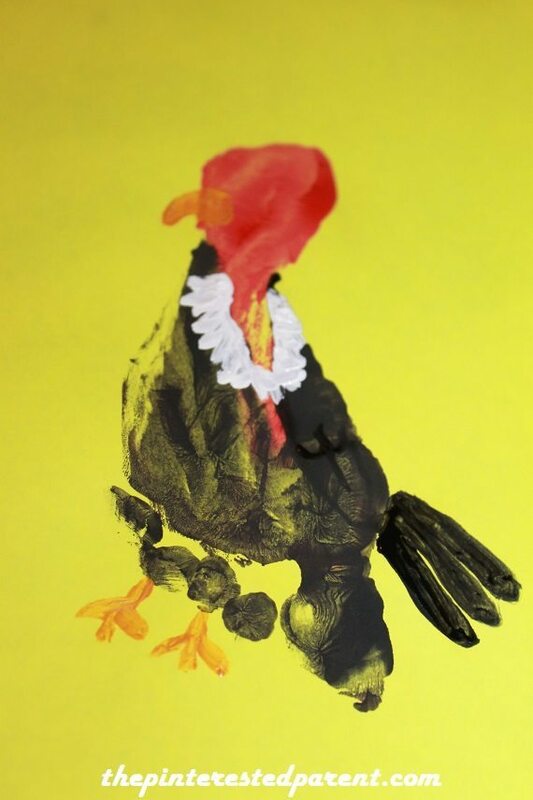 Paint in the tail & legs. I actually messed up on the legs. Here is a little trick if you mess up on one of these crafts & don’t want to start over. Cut around the project, leaving out the error & glue it down to a piece of paper in the same color. Paint or draw in the face with markers to finish it off. 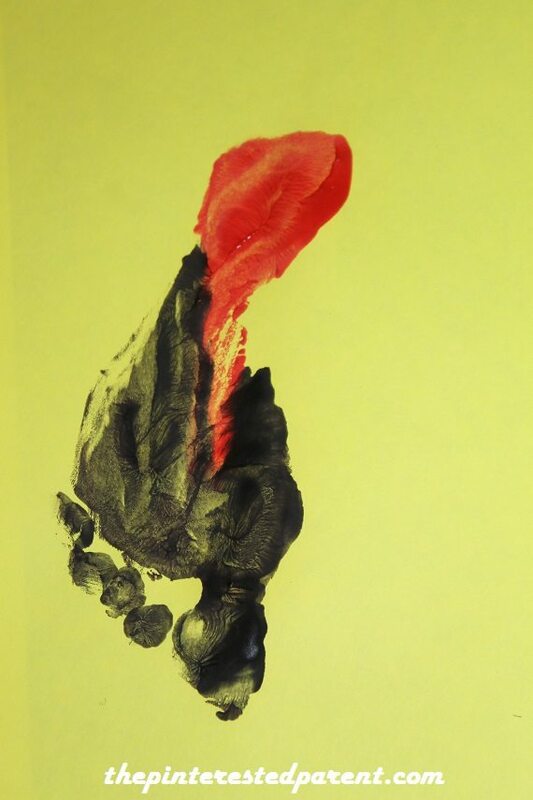 Paint your child’s foot in red & black as shown. Paint in the hind feathers on the side. 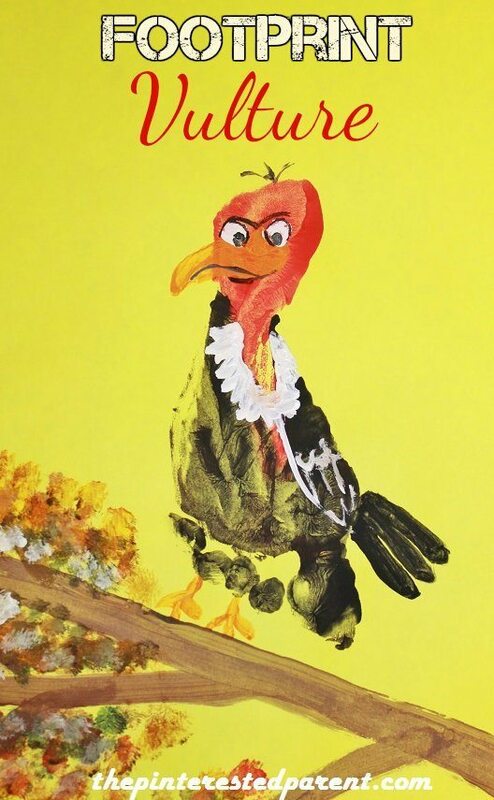 Paint in the beak & feet and use white paint to paint in neck feathers. Dab on the whites of the eyes & outline the feathers. Use a marker to draw in the facial details. 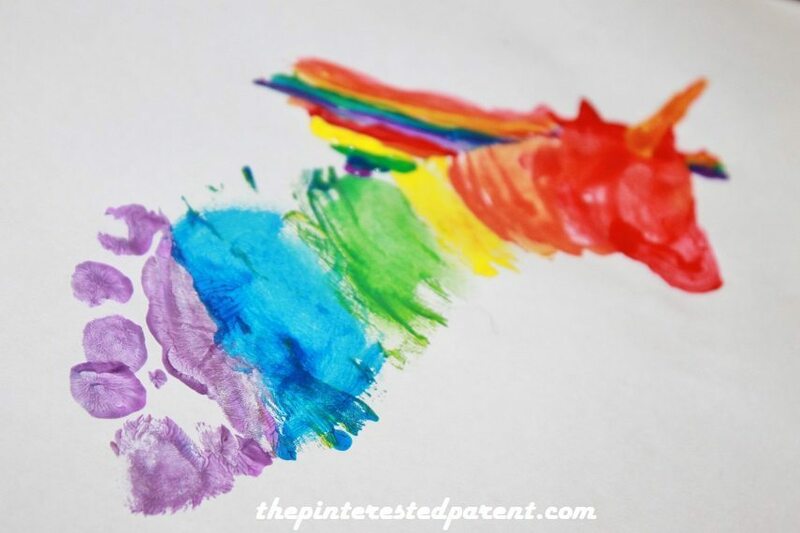 Paint your child’s foot in brown & press onto a piece of paper. Paint in the cheeks & nose and then the mouth & tusks. 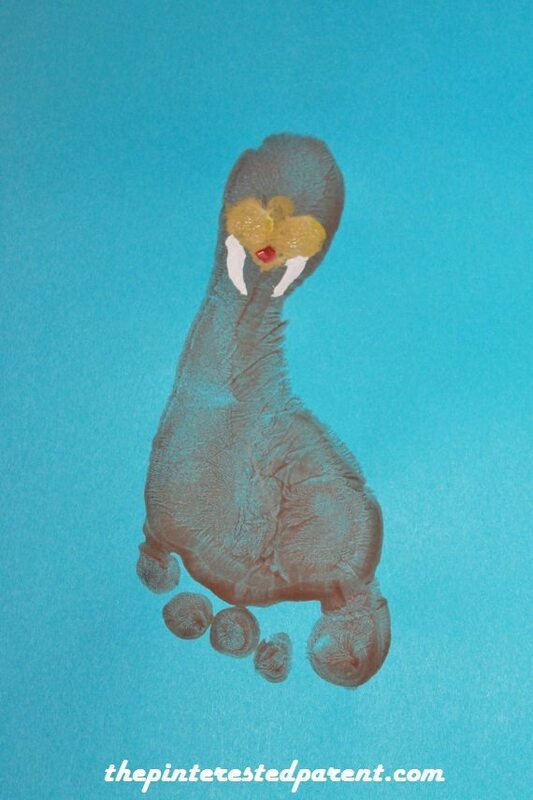 Dab in the whites of the eyes & paint in the flippers. 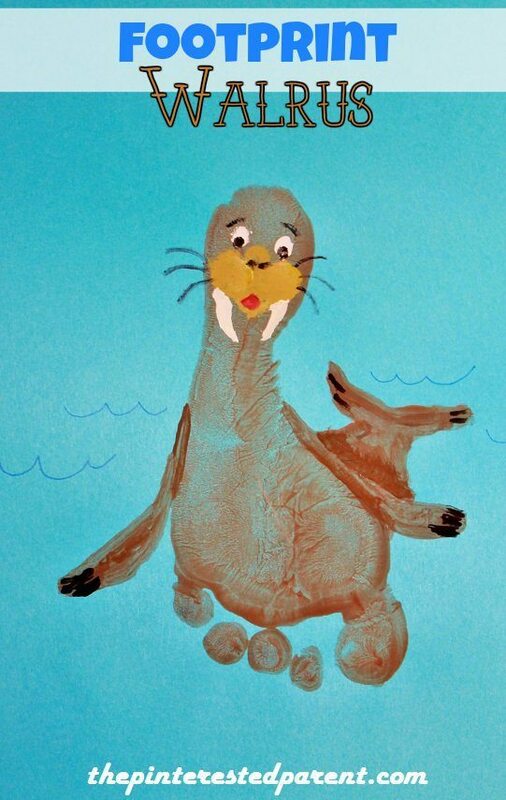 Use a marker to draw in whiskers & nostrils. 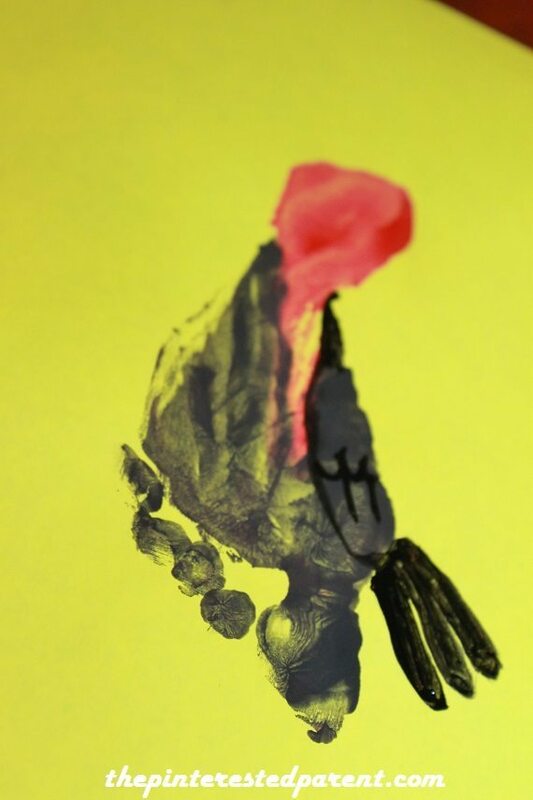 Paint in the eyeballs & paint in the tips of the flippers.